The tap handles on the kegerator are pretty weak. 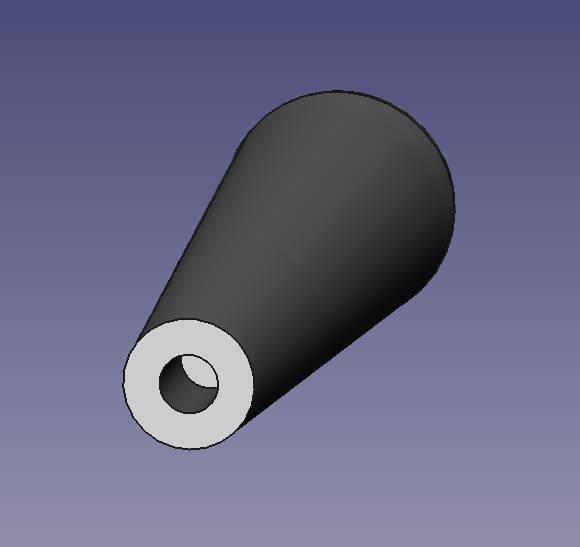 I decided to give 3d modeling a try and after a bit of research decided on FreeCAD. I figured this would be a fairly simple design and would be easy to work through the process of turning a model into an object. I started out with a cone, created a pocket on the bottom for the tap screw, and created a pocket and fillet on the top for some character. 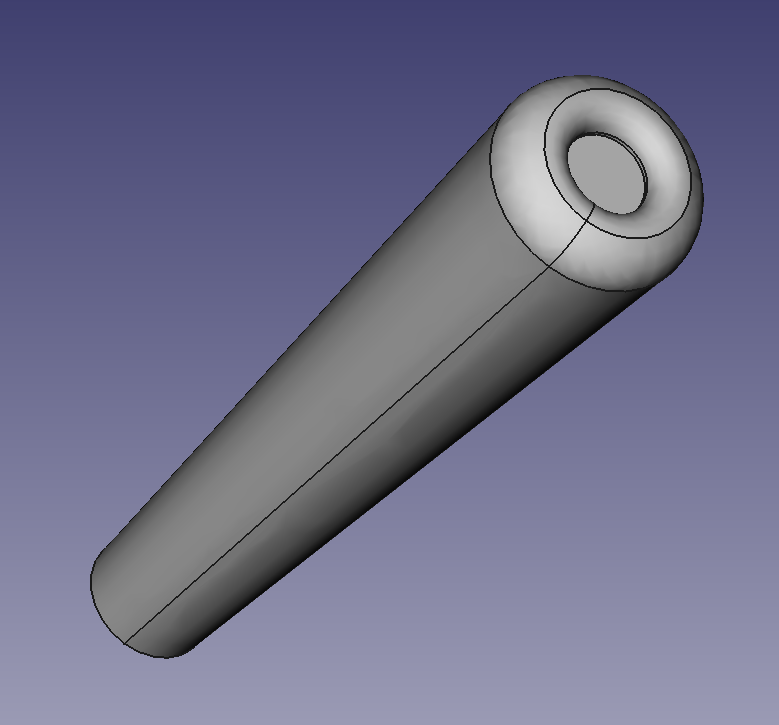 It only took me about 30 minutes to get through the learning curve of FreeCAD, but knowing what I know now this is really about a 3 minute design. FreeCAD allows exporting directly to STL, which is the format needed for most slicing programs. Just save with a .stl extension. I loaded it up in Slic3r and exported the gcode. From there, the gcode goes into Pronterface and the print is started. 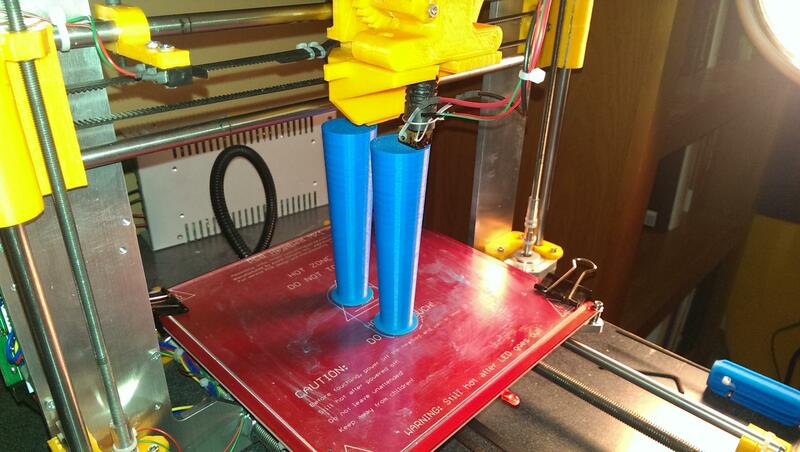 Printing 2 tap handles at a time was about an 8 hour print. I heated up the screws with a torch and screwed the handles on. Actually making threaded pockets turned out to be far above my skill level. Blue certainly wouldn't be my first choice now, but at least it draws attention and it's something better to talk about around the kegerator than the color of the floor. So far, I really like FreeCAD. There are still some things I need to figure out but it seems pretty solid. 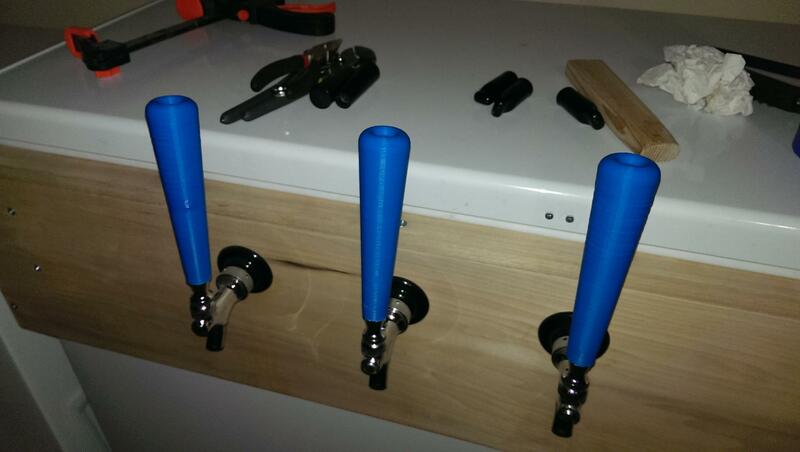 Download the FreeCAD model or directly download the STL file to give creating these tap handles a try yourself.